Here’s some news that so many of us have been waiting for. 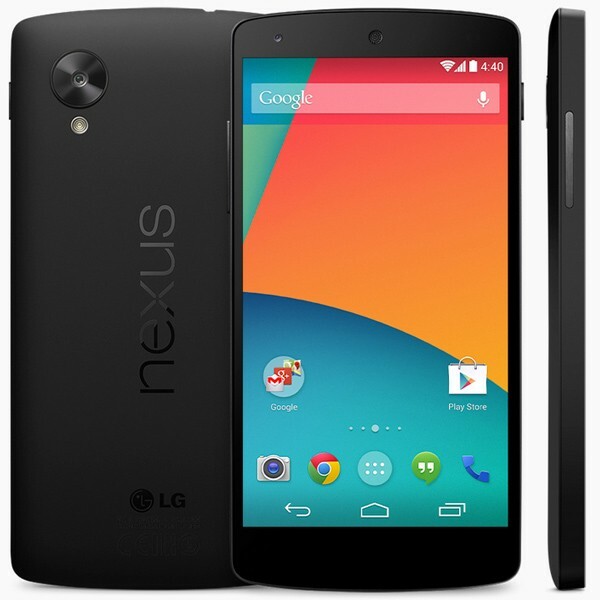 The eagerly awaited Google Nexus 5 goes on sale here in the UK from tomorrow at Carphone Warehouse. Furthermore, pricing has been confirmed at just £295 SIM-free (as I had suggested!) which is a serious bargain for the level of specification that you get. This truly is a flagship device at a bargain price and Carphone Warehouse further sweeten the deal as the first 1000 customers to order the Nexus 5 on contract will also receive a free Google Nexus 7! The full specification and press release can be found below. We’ll be trying to get our hands on one of these tomorrow so wish me luck! LONDON, 31st October 2013: Carphone Warehouse has announced that it will be stocking Google’s new flagship handset, the Nexus 5, from tomorrow (Friday 1st Nov). Free from £32 per month*, or £295 SIM free, the first device to run on Android 4.4 ‘Kit-Kat’ will be available in stores, online at www.carphonewarehouse.com or by calling 0870 870 0870. The first 1,000 customers to order the Nexus 5 on a 4G contract** via the Carphone Warehouse website will also receive a free Google Nexus 7 Wi-Fi 16GB tablet (worth £139). David Phelan, Mobile Technology Advisor at Carphone Warehouse says, “Google’s own-brand phones are always a talking point. The Nexus 5 has been hotly anticipated and delivers style and power in a slick, slim shell with a screen that stretches from one edge of the front to the other. Google fans like Nexus because it shows Android at its purest and most advanced: the latest Kit-Kat software will be on this phone first. This phone is for early adopters, Google fans and ‘power users’ who want a high-end phone at a keen price.